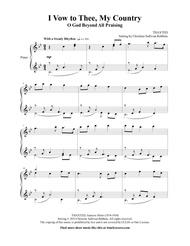 Composed by Gustav Holst (1874-1934). Arranged by Christine Sullivan Robbins. Christian, Sacred, General Worship, Wedding, Patriotic. Score. 6 pages. Published by Christine Sullivan Robbins (S0.75693). 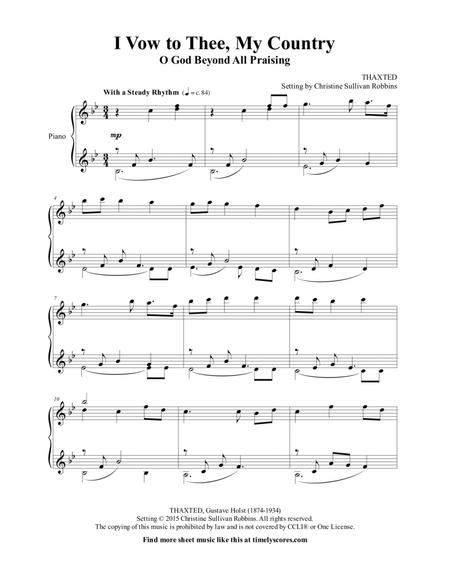 Also known as the hymn O God Beyond All Praising, this piano arrangement - based on the tune Thaxted from Gustav Holst’s symphony The Planets - will enrich church services, weddings, recitals, or any time that calls for elegant, majestic music.